I'm so excited to share a sneak peek of "The Story", aka Scrapbook Circle's May kit. But wait, there's more...You will want to mark your calendars for this! Something fun will be happening this right here on this blog this weekend! 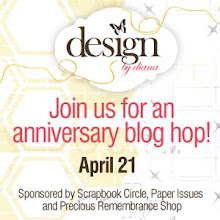 My dear, talented, crafty gal pal, Diana Fisher is celebrating her 3 year "blogiversary" and asked ME to be a part of it. 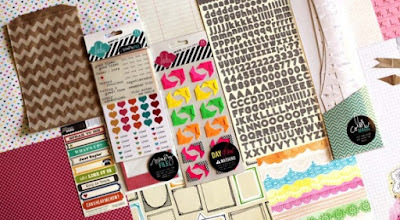 Yep, she has pulled together a few of her amazingly crafty friends for a weekend blog hop and I can't wait! 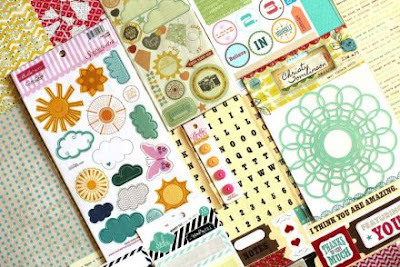 There will be inspiration to be found and prizes to be won from Paper Issues, Precious Remembrance Shop, and one of my fave kit clubs, Scrapbook Circle. Most, if not all, of the designers will be giving away goodies on each of their blogs as well. Lots of chances to win! Speaking of Scrapbook Circle, the project I'll be creating for the hop and sharing with you will be using the April kit, called Daydreamer. There's only a few left so if you love the new Amy Tan, Lilybee and Heidi Swapp, you should head over there now to get your hands on this. Now, I promised a sneak of the May kit, Daydreamer. Check this out...What do you see there? Thanks for stopping by today. I'll see you this weekend! So happy to have you with me for the hop. You know I'm one of your biggest fans!! And isn't the SC stuff yummy! Love these kits!